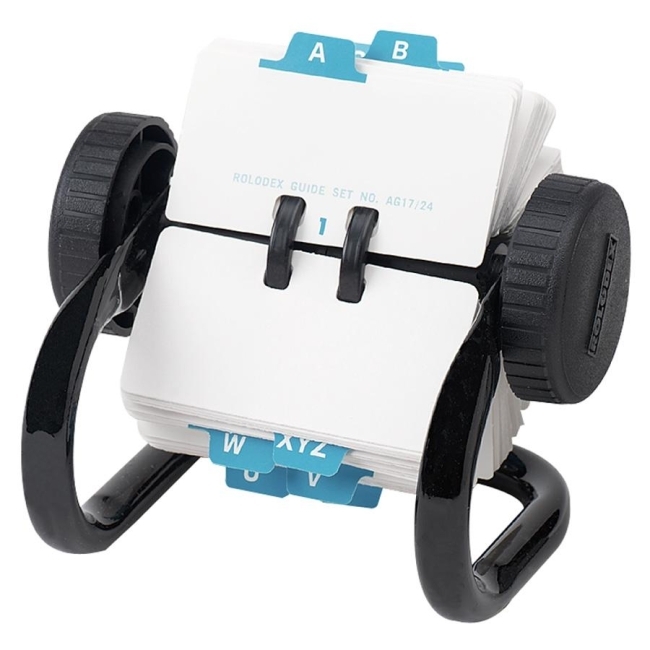 Card Size: 1.75" x 3.25"
Classic rotary file holds 250 cards to keep your contacts at your fingertips. Exclusive Rolomatic Control holds cards securely in place. Design also features strong tubular metal construction. Included card are made of high-quality card index stock. Rotary file includes insertable A-Z index tabs and 250 cards made of high-quality index stock.